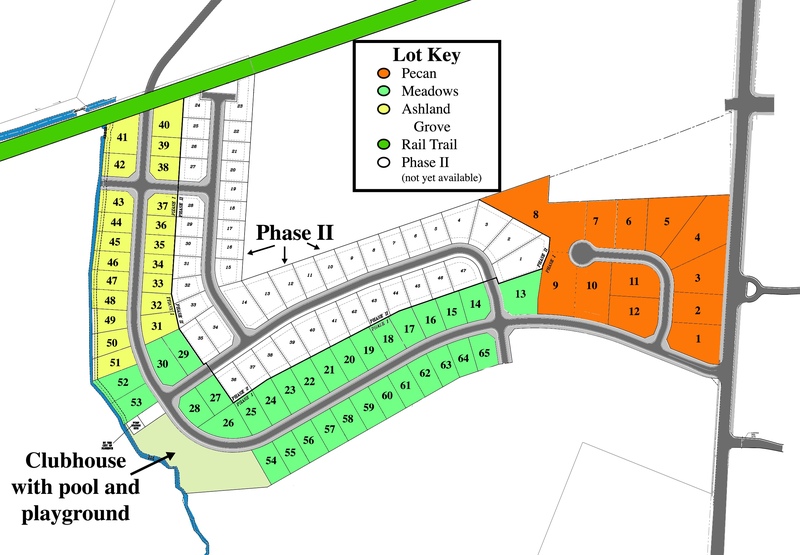 Pecan Grove is the premier neighborhood featuring custom built homes on large lots. The exteriors are brick, stone, or Hardi-Plank with side loaded garages for that stately southern living look. This exclusive neighborhood is located on a cul-de-sac creating a safe street with no through traffic. ~Lots #1-12 are approximately half an acre and cost $69,000. The Meadows is a charming neighborhood located in the center of the community near the amenity center (clubhouse). These homes are contracted of brick , stone, Hardi-Plank exteriors on 80x150 ft. lots. ~Lots #13-30 and #34-49 on the plat cost $48,000 Homes range from $250,000 to $400,000. Feature Builder is Hurricane (call for home plans and pricing), but all builders are welcome and you may choose your own. 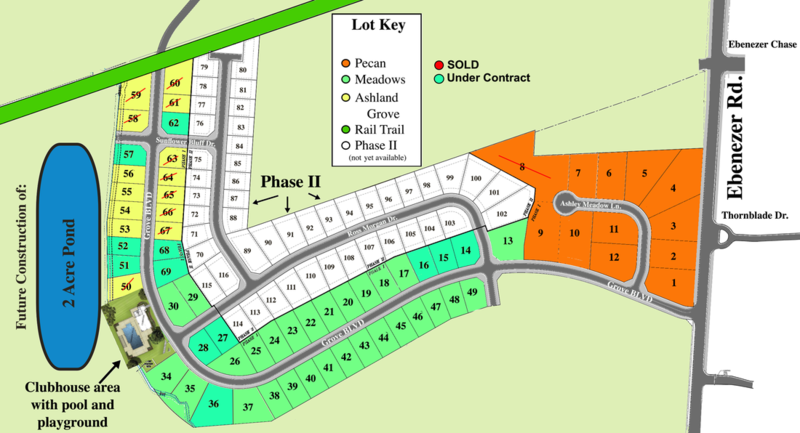 Ashland Grove is value priced with convenience to shopping, schools and the amenity center. These homes require a minimum of 35% brick, stone, premium vinyl, or Hardi-Plank exteriors and will be built on 1/4 acre lots approximately 70x125 ft. Our feature builders are Great Southern Homes (call for home plans and pricing), Hurricane, or your own builder.